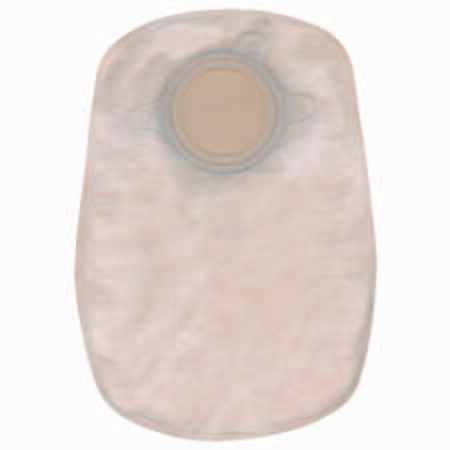 Convatec SUR FIT Natura Two Piece Closed End Pouch Ostomy System is ConvaTec?s most extensive two-piece product line with 8" Pouch that has q 2-sided comfort panel . The SUR FIT Natura Flange System signals a secure, accurate closure with a series of audible ?clicks?. A simple snap-off, snap on design allows users to change the pouch quickly to match activities without removing the skin barrier from the skin. Natura Closed End Pouches are designed for one-time usage. They are available with a filter that is designed to reduce odor and gas buildup. There's no draining or uncomfortable clip to worry about. When you're ready, you simply remove the pouch, place it into a disposable bag, then discard it.